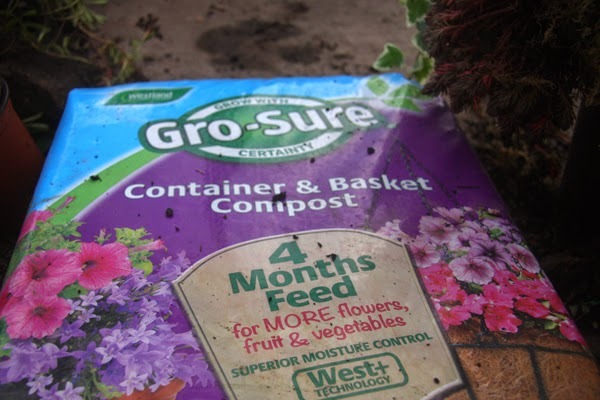 Preston Bissett Nurseries and Country Shop: How to Make Winter Hanging Baskets. 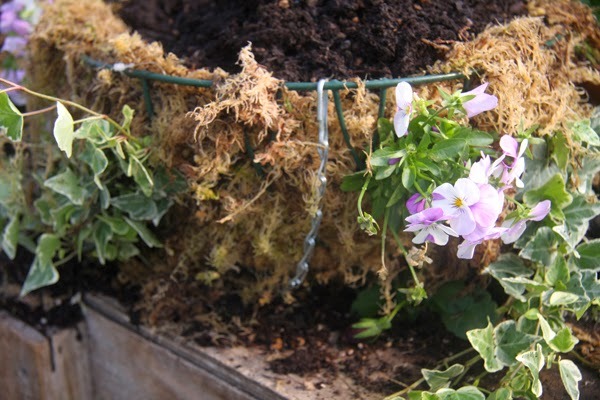 How to Make Winter Hanging Baskets. This week we've been making up original winter baskets. We have been using sedums,evergreen ferns and grasses, small evergreen shrubs, herbs and violas. Come along and have a peruse in our tunnel dedicated to this seasons container and basket plants. 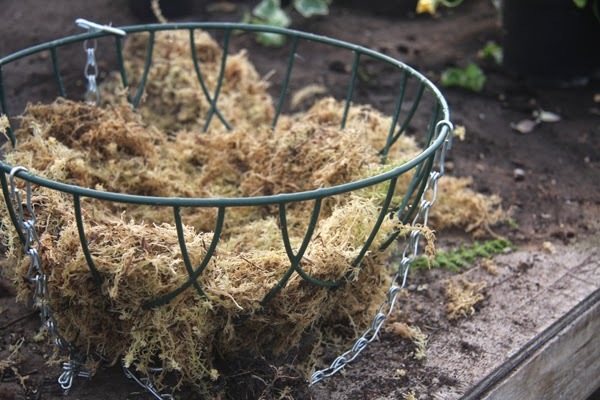 Half line a basket with moss and place a circle of plastic on top to act a a reservoir of water. 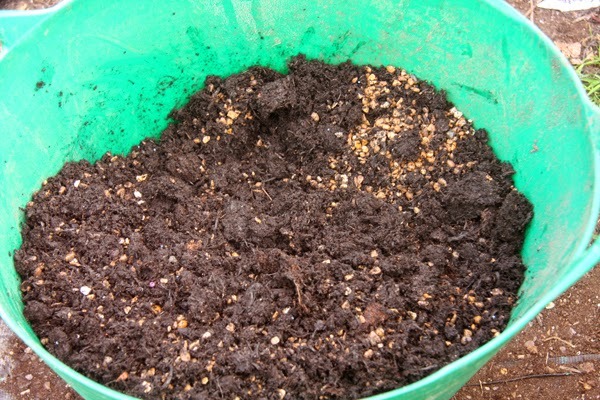 Mixing basket and container compost with a little Alpine grit to aid drainage. Plant the sides of the basket. Here we have used violas and ivy but in some I've used alpine sedums ferns, thyme or sage. 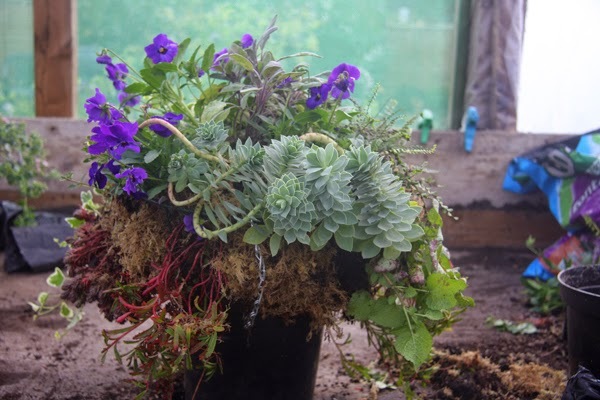 Plant the tops of your basket using an interesting mix of texture and colour. Weve used a euphorbia here with ferns and sedums. 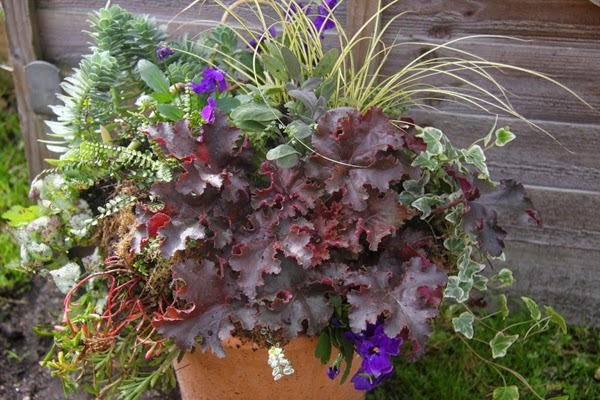 Here we've used a colourful Chocolate Ruffels Heuchera with grasses, ferns, sage and ivy. 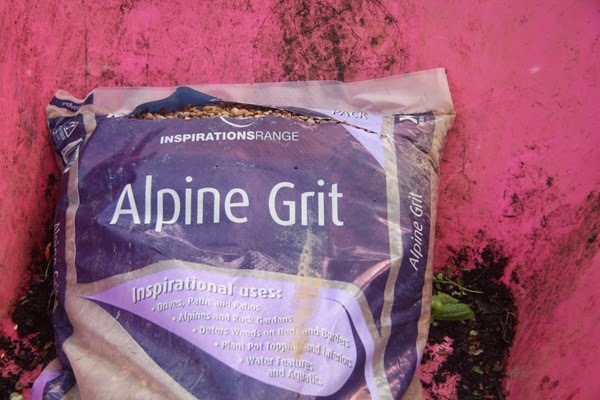 Be imaginative take your time choosing plans with colour and interest that will see you through the winter.